When I create an active choices reactive reference like the wine example but using a checkbox parameter instead an single value selection it won't get updated on changing the checkboxes. If I modify the choice type of the reference parameter to single select it works. ok, started from scratch. 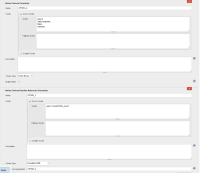 I installed the jenkins 2.19.1 using the suggest plugins during installation. After that I installed active choices plugin and built my demo project. As expected it worked. Then I only installed jQuery plugin + restarted jenkins service and the sample stopped working. Disabling the jQuery plugin and restart jenkins service it works again. At this point I started from scratch again. This time I didn't install any plugins during jenkins installation routine. After installation I just added active choices plugin (including the plugins it obviously depends on), restarted and my example project worked. Then I just installed jquery (and its depending plugins) , restarted and it didn't work anymore. The host in this sandbox environment was a windows 7 32 bit. Hope this helps you to reproduce it on your side. Matthias Zangl thank you for your investigation. I finally can reproduce this bug and I can confirm that is related not only to the jQuery plugin, but also a particular version of the plugin. Active Choice Reactive references are working as expected with jQuery plugin 1.7.2-1 but not with the latest version 1.11.2-0. Hopefully Bruno P. Kinoshita will be able to focus on this particular finding to resolve the bug. Thank you both!! Bruno P. Kinoshita attached is an example to try. 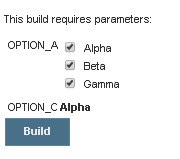 Note that the checkbox values are not propagated to AC_REFPRAM_C but interestingly, they are propagated to the build! Previous change was to upgrade JQuery. Then started debugging this issue after a message on the biouno-developers mailing list. Debugging, could find that a e.attr('checked') was returning undefined, though it was supposed to return something... searching I found some people with similar problem. Looks like e.attr() was replaced by e.prop(), and now it returns boolean. Fixed, included in the next release. Thanks!